One of the components of fruit that can cause these symptoms is a natural fruit sugar called fructose. Over the last few decades, fructose intake – in fruits, juice, and high fructose syrup – has increased in the Western diet to the point where the amounts commonly consumed in a day may cause mild gastrointestinal distress in normal people and severe symptoms in sensitive people. These days, such symptoms are frequently diagnosed medically as fructose mal-absorption. Fructose is a monosacharide (or a single sugar – see above). It has the same chemical formula as glucose (C6H12O6), but different molecular structure. They both have about the same caloric value, but fructose is sweeter. Fructose is not an essential nutrient for a human, meaning everyone can live without fructose, so ‘fructose deficiency’ does not exist. Fructose naturally appears in fruits, some vegetables, wheat, honey, sugar cane, sugar beets and some other plants. In commercial foods and drinks, fructose can be naturally present, or is added as a sweetener, like sucrose (table sugar containing 50% fructose, 50% glucose), or as a high fructose corn syrup (HFCS), somewhere called fructose-glucose syrup. Fructose mal-absorption (as distinct from fructose intolerance, which is a rare and serious hereditary condition) can occur at any age, and is found in very young children as well as the elderly. In children it might be known as fruit juice diarrhoea. It affects males and females and all ethnicities. Fructose is a sugar that is found in many foods such as fresh fruits and honey, high fructose corn syrup and many processed foods. It is also a component of plain table sugar, wheat and some vegetables. Fructose is a sugar abundant in honey and fruits such as apples, peaches, pears, and oranges. It’s also the main ingredient in high-fructose corn syrup used in hundreds of juices, sodas, condiments, snacks, and other foods. The problems occur because in many people fructose is not easily absorbed by the body. Fructose is usually absorbed in the small intestine, but for those with fructose mal-absorption, some travels to the colon, where bacteria ferment the fructose. This causes the release of hydrogen and methane gases, which cause pain, bloating, flatulence, and diarrhoea. In a healthy person at least 25 g or more of fructose can be absorbed at one sitting in the small intestine (glass of orange juice or a can of Coke contain about 15 g of fructose). Fructose mal-absorption is a digestive disorder in which proper absorption of fructose does not take place in the small intestine. This poorly absorbed fructose moves through to the large bowel, where it gets fermented by the flora present in the intestinal tract. The fermentation by bacteria produces gas and other gastrointestinal symptoms. IS THERE A TEST FOR FRUCTOSE MAL-ABSORPTION?Yes. Testing for fructose mal-absorption is now widely available, and is simple. The test uses a machine called Gastrolyser to detect a small rise in a gas (either Hydrogen or Methane) in your breath, after ingestion of pre-mixed amount of fructose. You will be given specific instruction to blow into the machine via the mouth-piece. The rise in the gases indicate there is unabsorbed fructose in the large intestine. HOW LONG DOES BREATH TESTING TAKE? Usually, it will take 3 hours to complete the test. Our staff will give you instructions during the testing period if you can leave before the three hours or occasionally, some patients will need to stay an extra 30 minutes. No. You will not be given a sedation, thus you can drive home after the test. CAN I CONTINUE TO BREAST FEED? Yes. 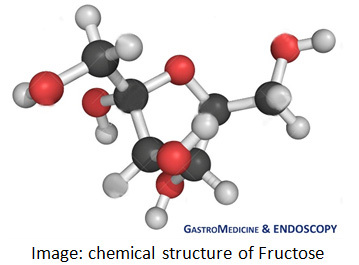 Fructose is a naturally occurring sugar, and after being absorbed it is converted into a harmless sugar. IF MY BREATH TEST IS POSITIVE, WHAT DO I DO? If your test is positive, you are advised to see your doctor, a dietitian or one of our Gastroenterologists for further advice. On the day of your test, our staff will give you some information to get you started before seeing a doctor or dietitian. There is lots of information on the internet, but you will need to be careful as you can get overwhelmed and confused. Management of fructose mal-absorption should not be stressful. 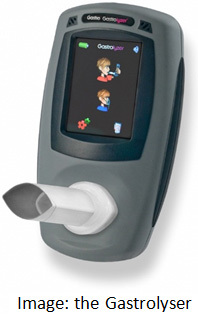 IF I AM INTERESTED IN BREATH TESTING, WHAT DO I DO? You can call our office Rosebud Endoscopy , and one of our reception staff will make an appointment for you, and post out an instruction sheet. CAN MY CHILDREN BE TESTED? If your child can blow a balloon, he/she can can have breath testing for fructose mal-absorption. You can make bookings online, or call one of our staff on Rosebud Endoscopy for further information.